Vegan-friendly Planta contains 20gs of protein at 100 calories per serving to provide plant-based BCAAs essential for building and maintaining strong muscles. Click the button below to add the Ambrosia Planta Vegan Plant Protein to your wish list. Taste, mixability, texture, and even bioavailability have been refined to the level that Ambrosia is known for. Everyone can benefit from introducing plant based protein into their daily diet. This vegan-friendly protein is made with SunBCAA Fermented Vegetarian BCAA. While other BCAAs are derived from animal parts, SunBCAA gets its amino acids from fermented sunflowers. This blend of BCAA is packed with the most important branch chain amino acids, L-Leucine, L-Isoleucine, and L-Valine in a 2:1:1 ratio. BCAAs, or Branched Chain Amino Acids, are commonly consumed in the form of supplements. A large number of bodybuilders and fitness conscious people take BCAAs to lose body fat and build muscle mass. BCAAs are the major components of muscle building proteins. The three BCAAs are leucine, isoleucine, and valine. They are in the category of “essential amino acids.” This means that our body cannot make these amino acids on its own and we must get them from an outside source. We require an adequate amount of amino acids in order to maintain our muscle mass and people who exercise on a regular basis can find it difficult to retain a stable quantity of amino acids in their body. This is because exercise burns amino acids at a rapid pace and sometimes will even burn muscle. When you exercise, excess body fat is used to provide the energy that is required. 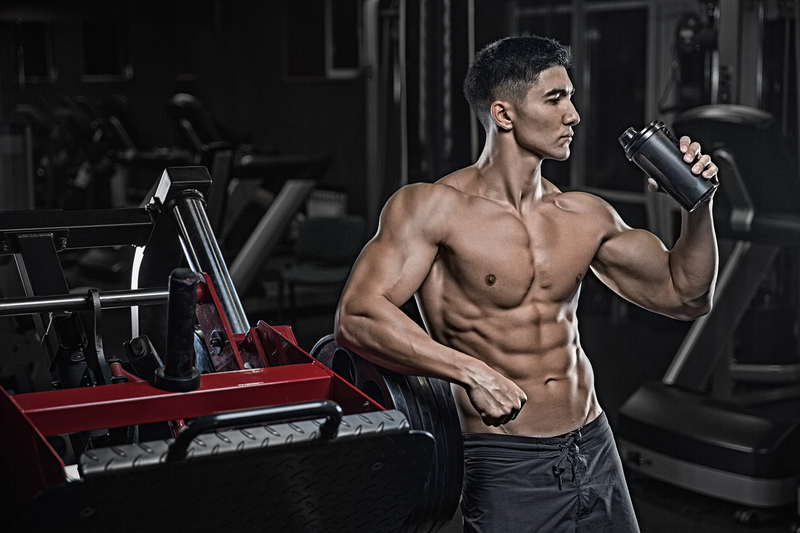 However, when your body is lean, and you are trying to attain a more muscular build, the body will reduce your muscle mass in order to get the energy required for the workout. Thus, the more you exercise; the more muscle you can possibly lose. To make up for the loss and to provide your body with the sufficient amount it needs to retain its muscular build, you will need to supplement with BCAAs. Ambrosia Planta Protein is made of organic brown rice and pea protein. Brown rice is an excellent alternative to whey protein for people who are lactose intolerant, live a vegan lifestyle, or just prefer plant-based protein sources. Pea protein is extracted from peas by drying and grounding peas into a fine flour, mixing with water, and removing the fiber and starch, leaving mostly protein with vitamins and minerals. Plant proteins contain less fat, less atherogenic fat (causing clogged arteries/heart disease), no cholesterol, and plenty of dietary fiber and protective nutrients. Suggested Use: Mix 1 scoop of Planta with 10-12oz of water or beverage of your choice. Planta can be spoon stirred in a glass, mixed in a shaker bottle, or blended to create a smoothie. Consume 1-3 shakes throughout the day as needed to meet your protein intake needs.